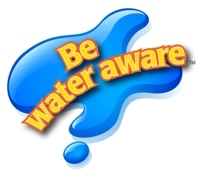 Replishment of materials included in Be Water Aware Member Kit, including posters, window clings, DVD's, etc. Replishment materials for the Be Water Aware Member Kit, including posters, window clings & DVD's. WWA has created a customized Pool & Water Safety Activity Book for the use of its members. The book includes lots of fun activities like word searches, color by number, word games and more. Plus, it contains important safety messages that build water awareness in children and parents!